Portree Hostel dog friendly Hotel in Waterford. Hotel in Waterford, County Waterford. Dog friendly. Budget accommodation. Welcome to the Portree Hostel dog friendly Hotel in Waterford. Portree Hostel is the only hostel in the city centre and is just 2 minutes' walk from the bus and train stations. A 5-minute walk takes you to all amenities such as shops, restaurants, pubs, clubs and theatres. For more information or to check the availability of this Hotel in County Waterford please click on the availability link above and below. 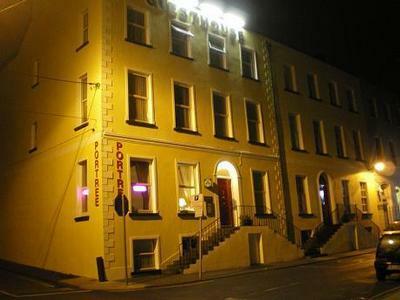 The Portree Hostel is in Waterford, Ireland. The address is 10-11 Mary Street, Waterford County Waterford.